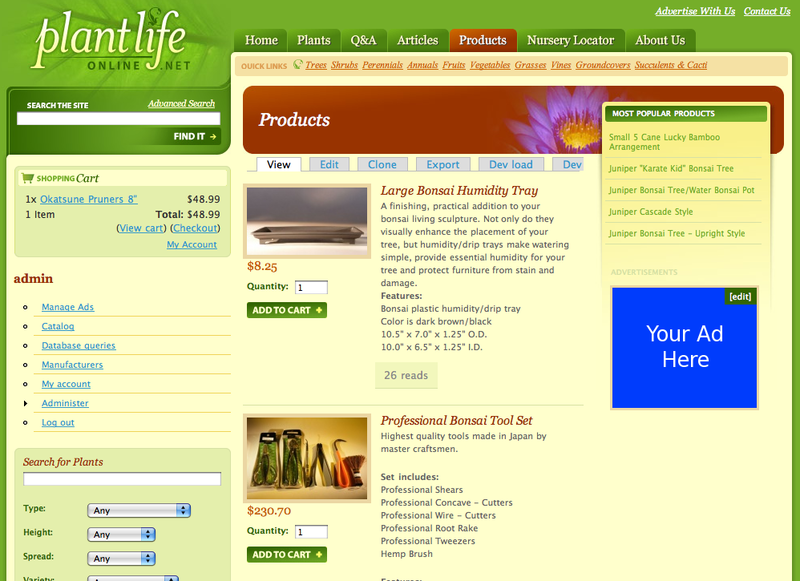 Thank you for your interest in advertising with Plantlifeonline.net. The form below is used to gather the basic information about your company and the advertisement you wish to run. For those that would like to run more than one ad a new form will need to be completed for each ad. If you have any questions please e-mail us at advertise@plantlifeonline.net. Standard Ads are located in left and right columns throughout website, location of the your ad will be determined by your selection in the "Ad Region" section of this form. Max width for left column ads is 234 pixels x 60 pixels high approximately. 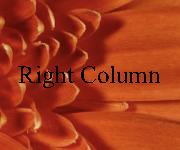 Max width for right column ads 180 pixels x 150 pixels high approximately. Banner Ads are located on all pages with the center column just below the "Latest Article" section. Choose from the ad regions below to select the location of your ad, click on the images for examples of ad placement. The Home Page Ad will show up in the left column just below the "Search The Site" section. This ad location is the top ad region on the website homepage. This ad region will be visible to your potential customers from the time the page appears there is no scrolling down. Ad Global Left is located in the left column throughout the entire website just below the "Search The Site" section. The Global Left region is the most visible of all region on the website and will give your company exposure you want. This ad region will be visible to your potential customers from the time the page appears there is no scrolling down. 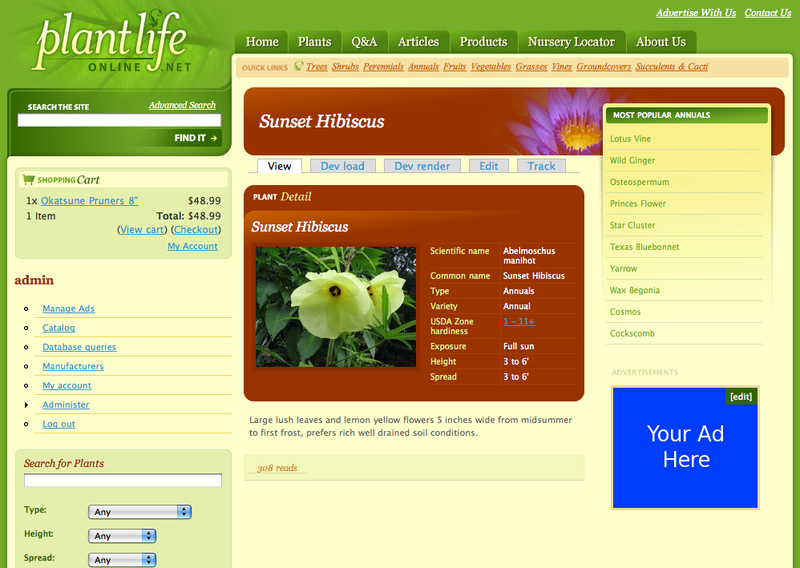 The Right Column Ad is located at the top on the right column just below the "Featured Product" or at the top of the right column on all pages with the exception of the "About Us" and the plant overview page. This ad region will be visible to your potential customers from the time the page appears there is no scrolling down. The Ad Plant region is located on each individual plant information page, by selecting this ad region you will then need to select which individual plant categories you want your ad to be displayed (check boxes below). For example by selecting "trees" and "shrubs" your ad will be displayed on all page pertaining to the corresponding categories. A minimum of 2 categories must be selected ($15/month each). Ad Plant Global is located on all plant pages of all categories (trees, shrubs, perennials etc,) The selection of this ad region will place your ad on thousands of page for your customers to see. 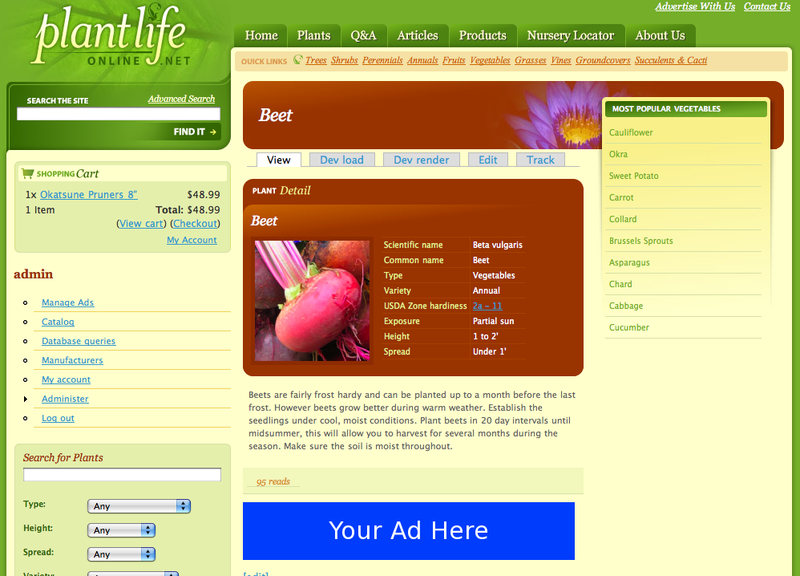 Ad space selected from these Plant Categories will appear on each plant page only. 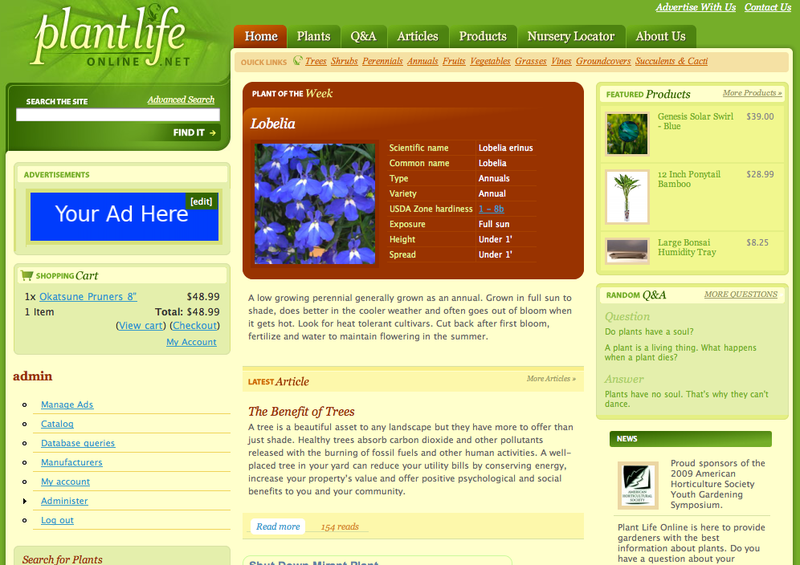 Example: if you select "trees," your ad with show on all tree pages.